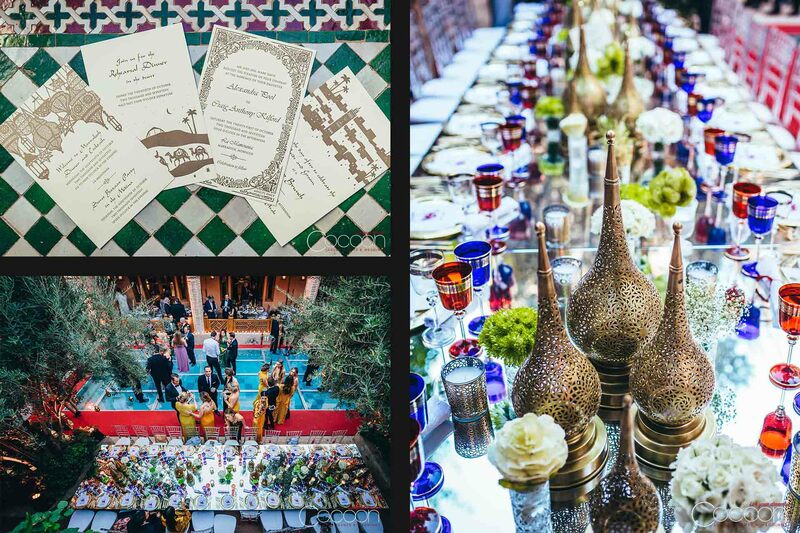 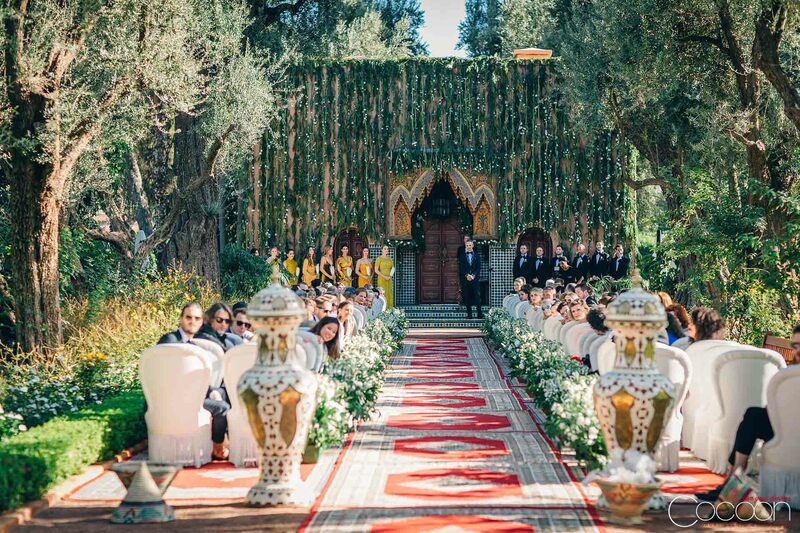 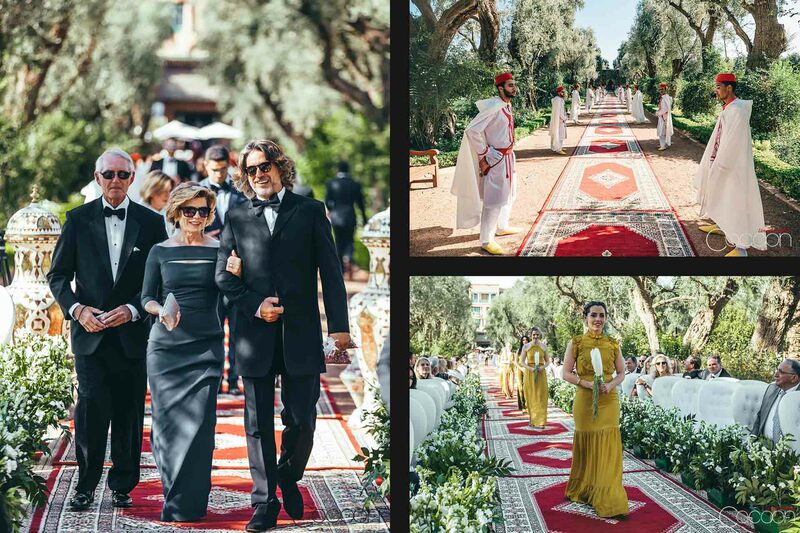 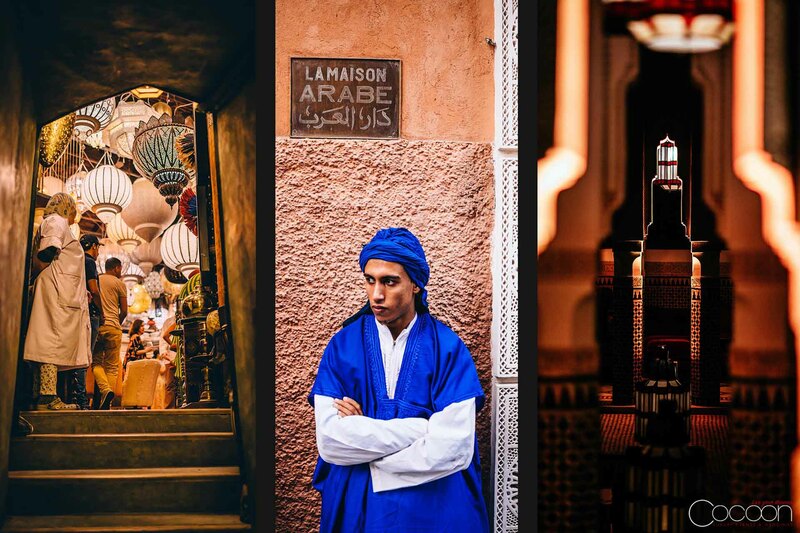 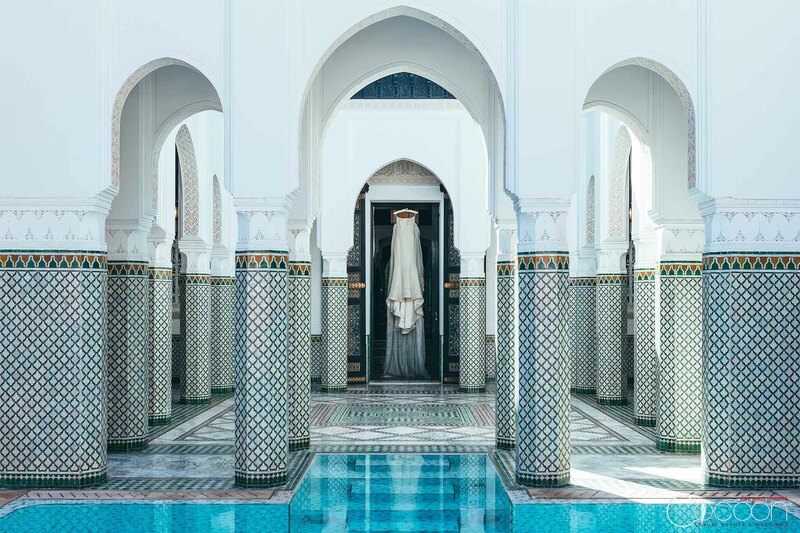 The setting for Alex and Craig’s magical 5-day Marrakech destination wedding was one of the world’s most recognized luxurious palace properties: La Mamounia. 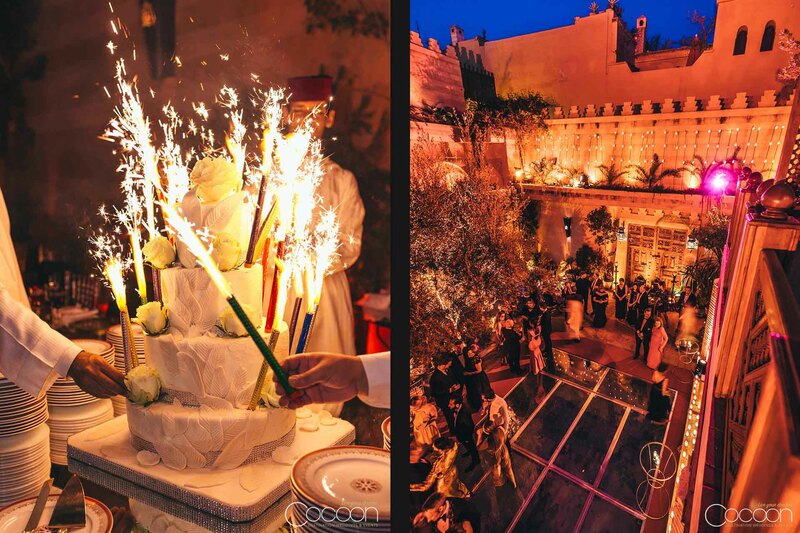 Now a five- star luxury hotel, the 12 th Century palace features Arabic-Andalusian architecture and lavish walking gardens. 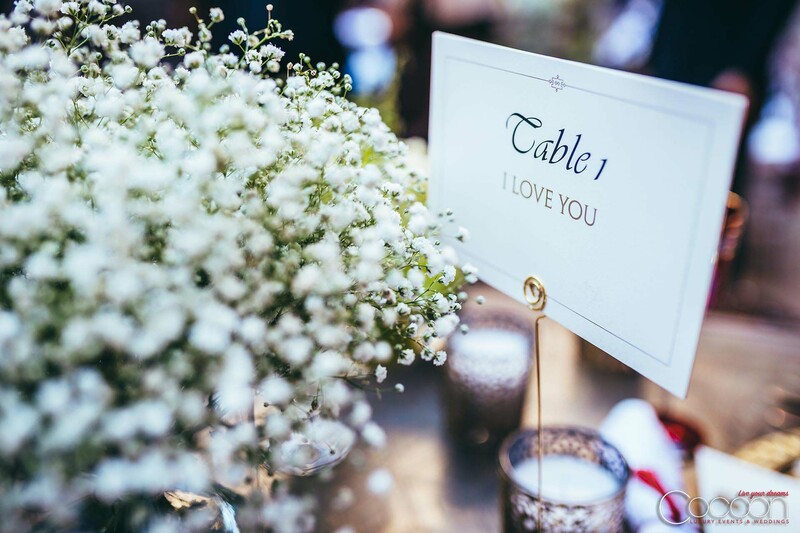 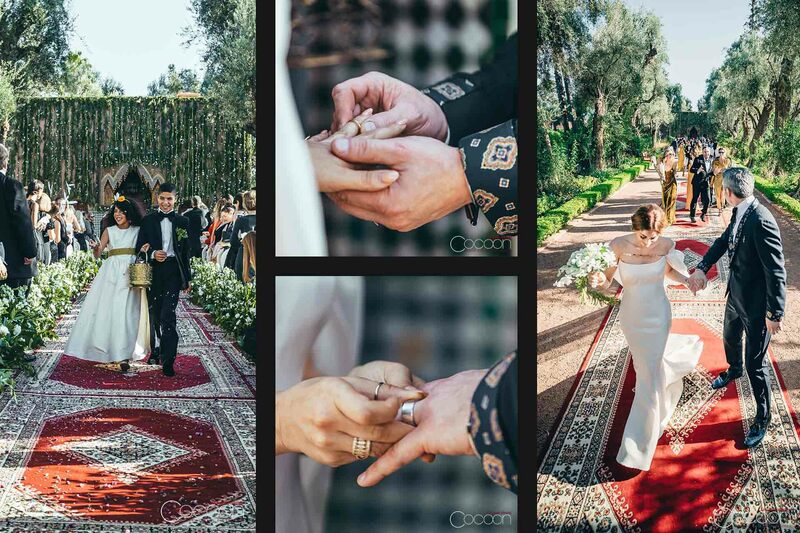 It is considered one of the finest wedding venues in Marrakech. 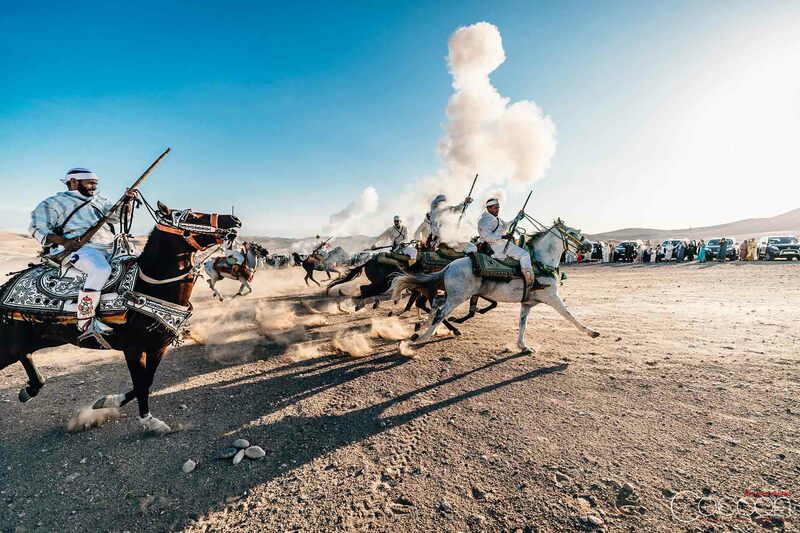 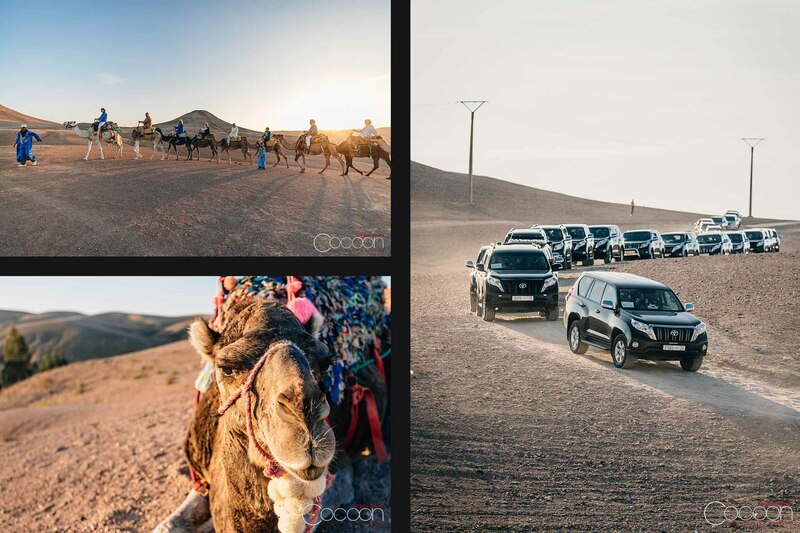 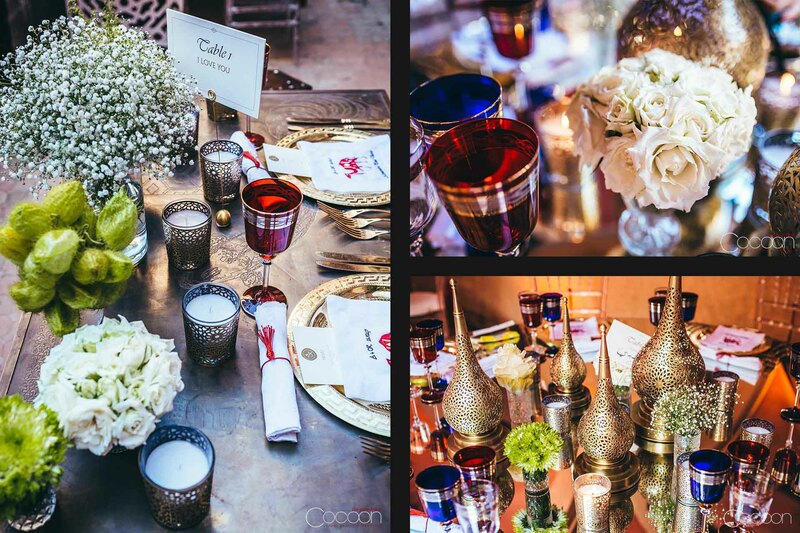 Alex and Craig hosted a welcome party, desert rehearsal dinner, wedding and an authentic brunch adventure for their guests, who were made to feel at home amidst the scent of jasmine and the warmth of Moroccan hospitality throughout the celebration. 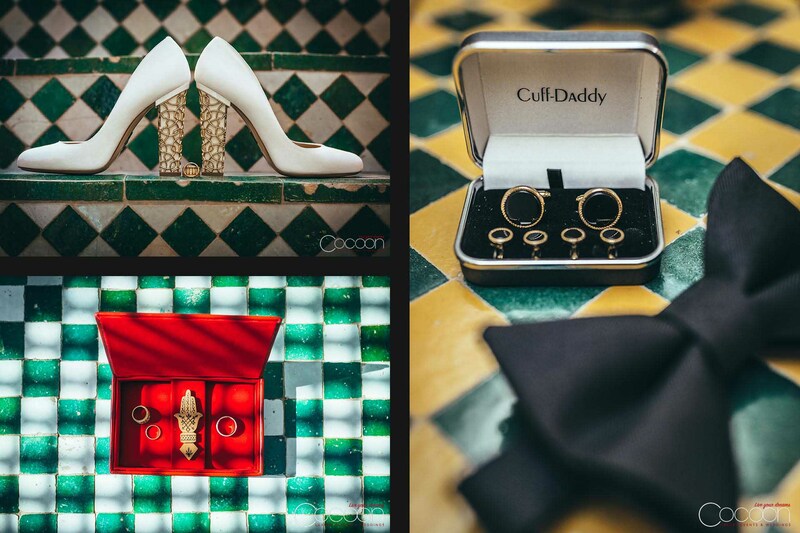 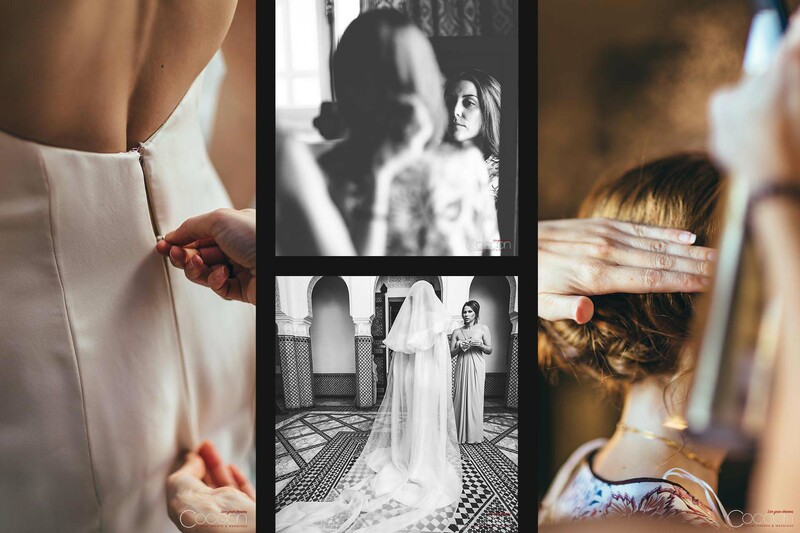 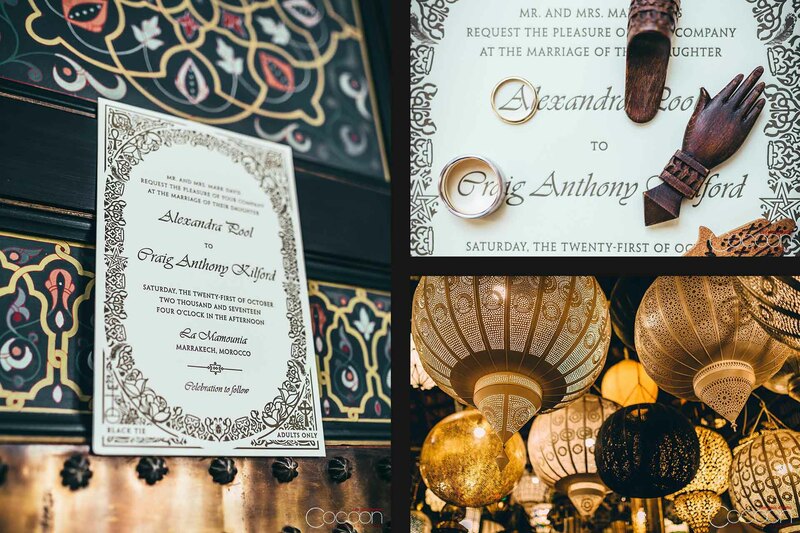 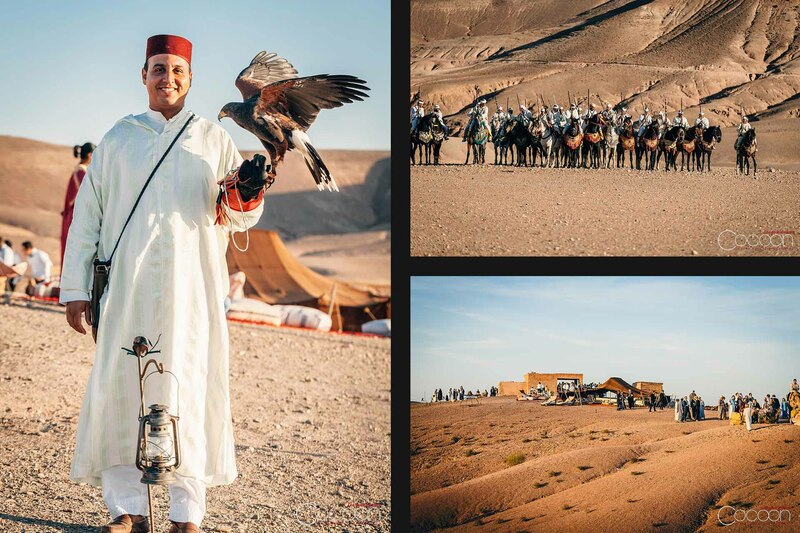 We truly loved serving as Alex’s Marrakech wedding planner, as we admired her exclusive sense of style!